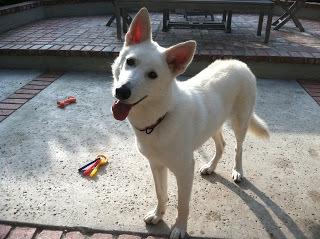 Blizzard, a 7 month old GSD puppy is the most talked about GSROC dog this week!! We can certainly undertstand why. 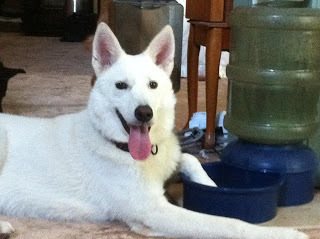 He is a beautiful white GSD with a soft, velvety coat. He has a quiet personality until he feels comfortable and then his silly side emerges! He is happily living with one of our foster families where he has made friends with his foster siblings and won over the hearts of all the people in the house.